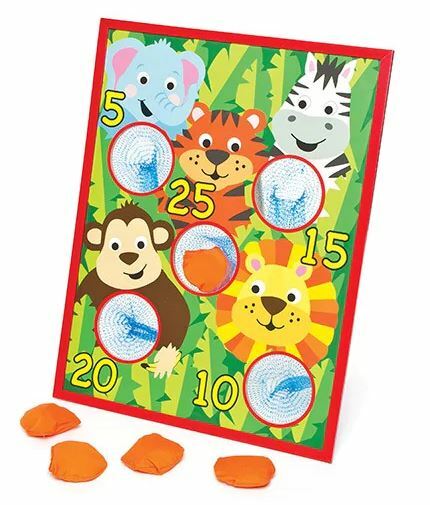 Simple bean bag toss game for pre-school children. This is a small table top game with a Jungle theme (other designs are available). Wooden board size is 39cm x 52 cm.